Hashtags are actively used on various social media platform, and people often get confused about how to use hashtags on Pinterest. 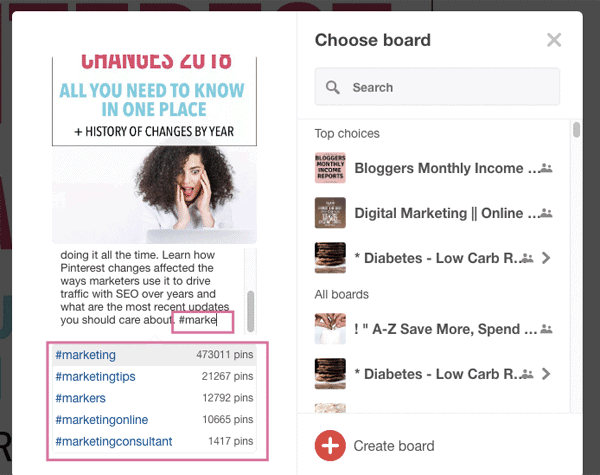 This is the ultimate guide with the most recent information on Pinterest hashtags (latest update Jan 2019). 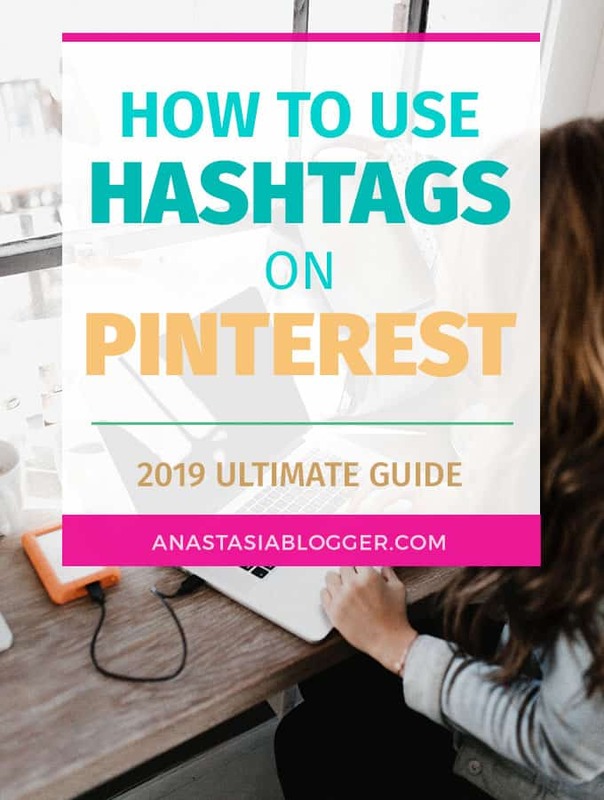 Yes, as of 2019, using hashtags on Pinterest is a great idea to help your content or products show up to new audiences on this platform. Pinterest wants us to use hashtags that are relevant to the content of pins because hashtags are used as wide search phrases. You should NOT apply the spam techniques used on Instagram to attract users by adding popular hashtags that have nothing to do with the image they are attached to. Pinterest accounts get suspended really easily by triggering spam filters. Getting your account reinstated is a long process that can take months, and some accounts are never reinstated again. So, on Pinterest, you better be safe and stay away from spammy methods because these experiments might not be worth the risk. Do You Use Hashtags On Pinterest? 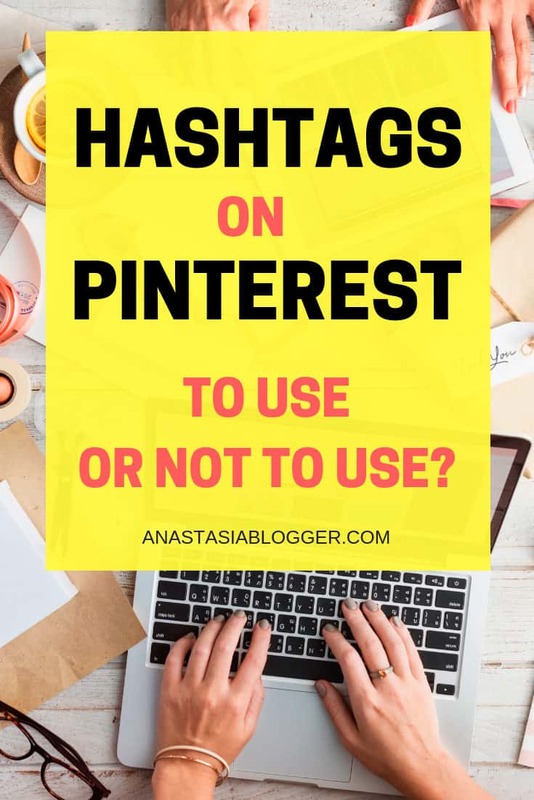 A good question to ask me personally because just two years ago I would tell you hashtags for Pinterest are a bad idea. It was back in the middle of 2017 when Pinterest invited hashtags back to the platform after a few years of keeping them as a complete no-no. You can read more about that update in my Pinterest Changes Archive post (I track in it the most significant changes on Pinterest since 2015). When hashtags were allowed again in 2017, it wasn’t quite clear how we should use them, how many of them per pin, etc. I was pretty cautious and was slowly adding hashtags to my new pins, just a couple of hashtags per pin. So, should you use hashtags on Pinterest? Yes! In 2019, I am using hashtags confidently for every new pin I save from my site – I usually add about 5-6 hashtags maximum. I’ll tell you why later in this post, so keep reading. First things first. Where and how do you add Pinterest hashtags? The only place you need to add hashtags to (as of 2019) is your pin descriptions. When you save any pin from your site, you are asked to add a pin description. You can add hashtags manually for every pin while you are saving it to Pinterest. As soon as you add # sign and start typing a keyword that you are targeting in your pin, Pinterest will autosuggest the full hashtag and will show you how often this hashtag is used on the platform. So for a fashion brand, something like #springfashion would work well—but #ilookterribleinhats wouldn’t. Should you Add Hashtags to Your Older Pins? The answer is NO because hashtags currently work only as a search for the newer pins. So if you published a new pin (an image that was never before saved on Pinterest from your URL) with hashtags a few seconds ago, you will almost certainly will find it by searching for this hashtag. If it’s a very popular hashtag, in 1 hour or so, your pin will be buried under all the other pins saved with the same hashtag. How to find Most Popular Hashtags on Pinterest? Pinterest hashtags generator is available inside Pinterest itself. Like I showed you on the screenshot above, the only way to see how popular is any given keywords as a hashtag is to start typing it WHILE trying to save a pin from a website. Doesn’t have to be your own pin or your own site. If you want just to do research and not save any pin, you can still search Pinterest tags – just initiate pin saving from any website and the platform will show you a list of hashtags. The Pinterest hashtag generator can show you additional hashtags which start from the same keyword you are typing but don’t expect it to be smart in guessing related hashtags which are formed of completely different words. Using How Many Hashtags On Pinterest Is OK? Pinterest allows a maximum of 20 hashtags per pin – official info here. Pinterest suggests in their Content Tips using “a few” hashtags per pin. I understand a few as 2-3. I personally use 5-6 hashtags per pin. I believe that adding more than this, I would have to go offtopic and add something not so relevant to my pin as hashtags. I tend to have a mix of specific and “wide” hashtags to avoid using multiple hashtags with the same keyword. This could be considered spam. For example, if we take #pinterestmarketing as the main hashtag for this post, I would not add all the hashtags starting with the same keyword “pinterest”. Instead, I would add wider a few hashtags so that my pin can be shown to audiences who might be interested in Pinterest marketing, but maybe never thought about it before and didn’t search for #pinterestmarketing specifically. So, I would add for example #socialmediamarketing, #digitalmarketing, #bloggingtips, #onlinebusinesstips. See, I didn’t have to use the word “pinterest” in every hashtag to show my content to similar audiences. Did you find this post useful? Want to get back to it later? Save THIS PIN below to your Pinterest Marketing board! Great, I’m glad the post was helpful!